Our solar installer reviews database is the longest-established, most detailed and comprehensive in Australia. It currently contains 22,000+ genuine reviews of more than 1,400 Australian solar installation businesses gathered since 2009, provided by real Australian customers of these companies. To find details and reviews of specific solar installers, enter a company name in the following search box; or you can browse through all our listings using the links below. 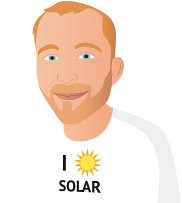 NOTE: To only view reviews of top-ranked pre-vetted solar installers that are part of the SolarQuotes network, please click here . If you’re seriously considering going solar and would like to save yourself some time, rather than perhaps searching through hundreds of listings, submit for a quote . We’ll match your requirements to up to three high ranking installers currently active in your postcode and participating in the SQ network. These installers will follow up with you and provide detailed quotes and information, then you can come back to this page and check out their reviews. Our quoting process is quick and easy, but thorough; helping to ensure we match you to the most appropriate providers in our network. Our pre-vetted installers are subjected to a rigorous in-house review process before being accepted in our network. As with our general company listings, all reviews associated with these pre-screened installers are provided by Australian customers who have had solar power systems installed by these companies. Further details of our solar installer reviews methodology can be found here .